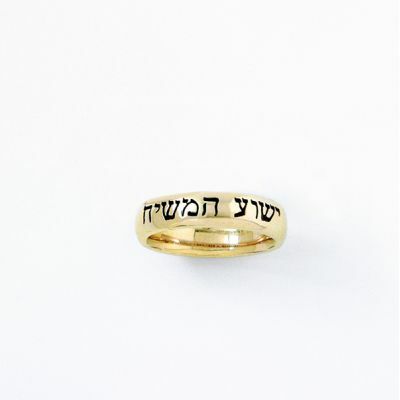 This handcrafted solid 14Kt gold ring features Jesus the Messiah" in Hebrew. Available in sizes 3 through 9, including 1/2 and 1/4 sizes. This item is made-to-order. We do not accept returns unless the item is flawed or incorrect. We do not accept returns/exchanges if you order the incorrect size. Please have your finger professionally measured before ordering. Due to the price of this item, we must be supplied with your credit card issuers phone number so that we can confirm the order has been authorized by the card holder. The item will not ship or begin processing until this step is completed. 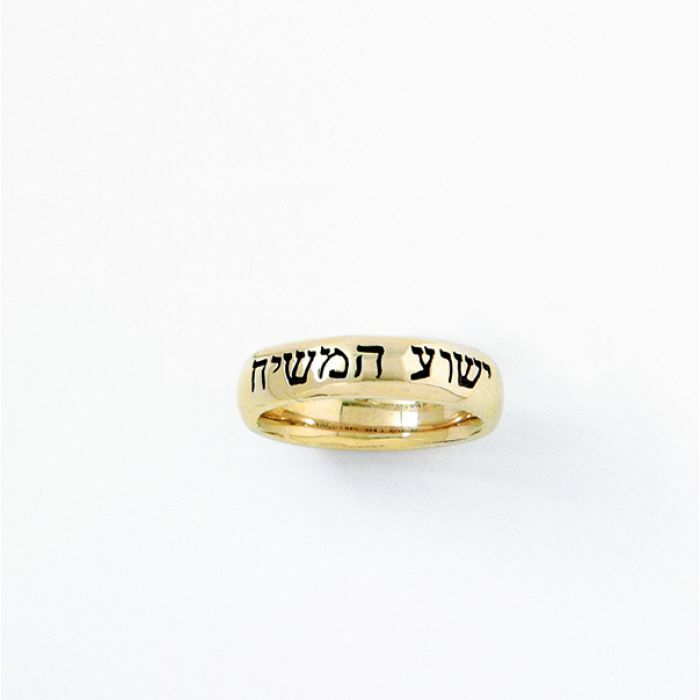 Custom Engraving (Optional)Your engraving will appear on the inside of the ring band. The font is regular block style. 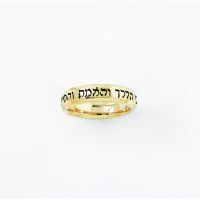 This Made solid 14Kt gold ring features I am my beloved's, my beloved's is mine" in Hebrew. Availabl.. 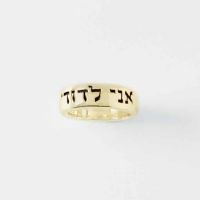 This handcrafted solid 14Kt gold ring features I am the way, truth and life" in Hebrew. Available in.. 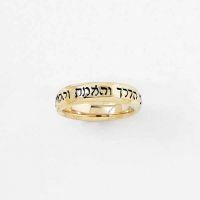 This Made solid 14Kt gold ring features I am the way, truth and life" in Hebrew. Available in sizes .. 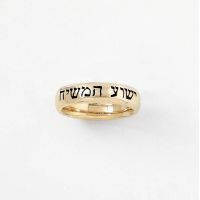 This solid 14Kt gold ring features "Jesus the Messiah" in Hebrew. Available in sizes 8 through 13 1/..